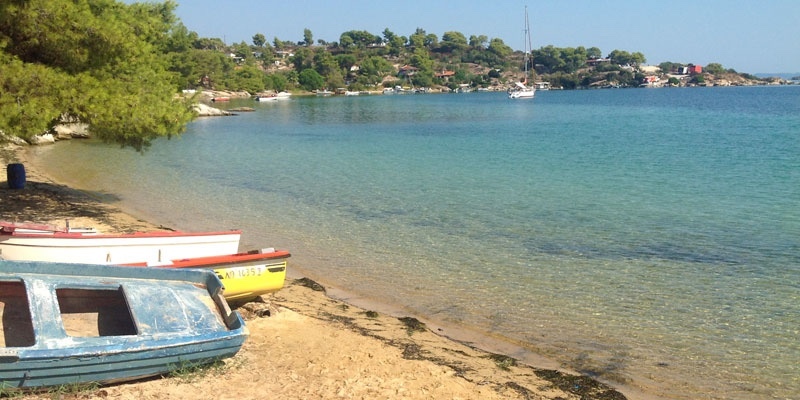 Galini beach is north of Vourvourou still in the bay that is protected by Diaporos. This beach is more like several small sandy beaches along the steep coastline. 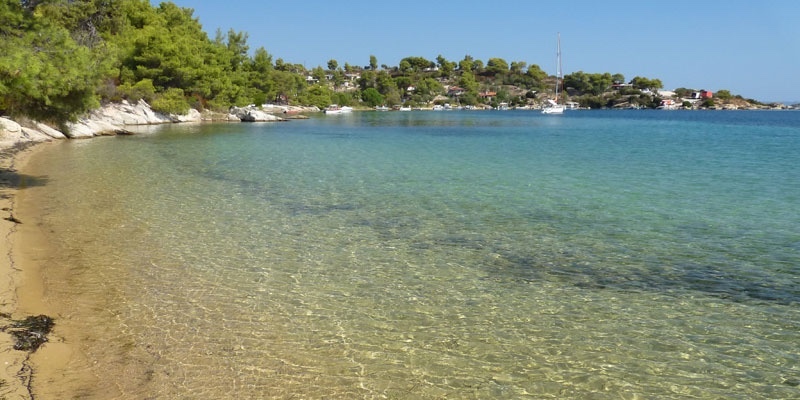 There are houses and villas scattered throughout the pine trees which grow all the way to the water and give shade over the beaches. Some of these little sand boxes are very cute and there are no people here other than the odd individual who may live in the neighborhood. 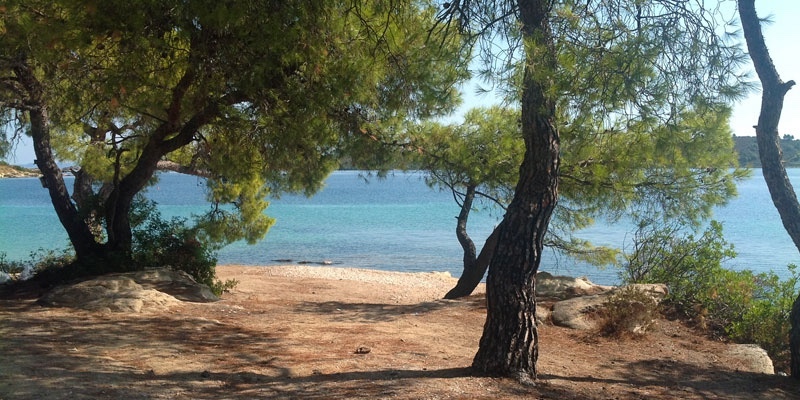 These beaches have no development but the trees provide natural shade. The beaches themselves are sand with pebble. The water is very shallow and the seafloor is a sand pebble mix. Swimming shoes are recommended in some areas. Small private beaches in the pine grove. Quiet and relaxing. North of Livari beach by Vourvourou you pass Camping Rea turnoff. Take the next right a few hundred meters up the road. Turn right to the sea and take the second left and pass by Fteroti beach. 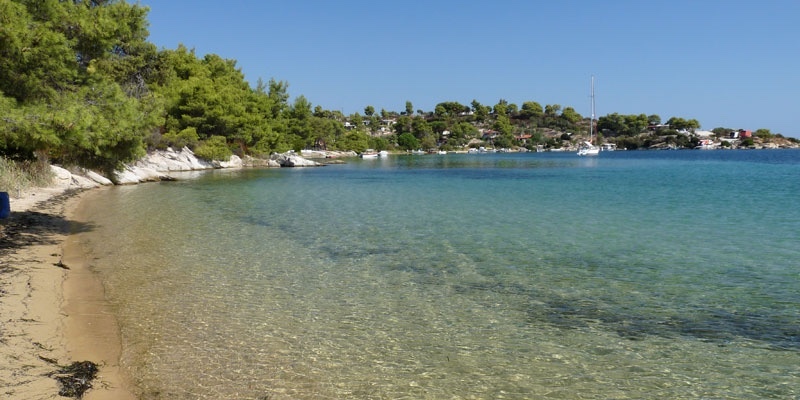 Continue along the shoreline and you will come to the beaches called Galini.